Paperback: Hill & Wang, 2011. 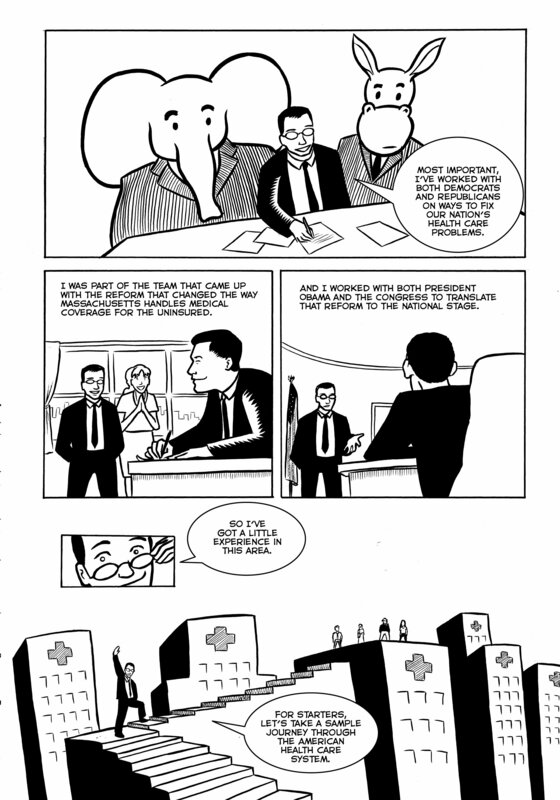 With spring bringing us Marvel’s ” Avengers” out to rave reviews and giant box office and summer looking toward a new Batman movie, what better way to tide a politically-engaged readership of comic books over than a discussion of health care reform? 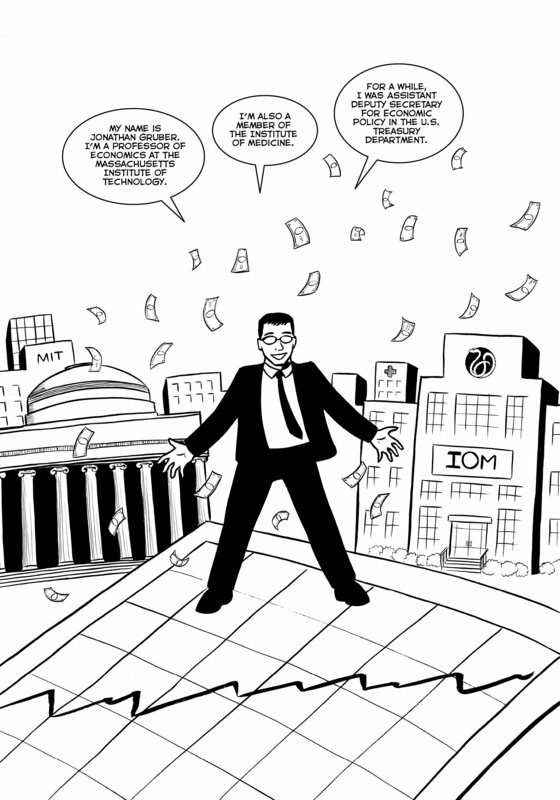 Well, what if it came in the form of a graphic novel—does that help? I hope so, as lack of health insurance and spiraling costs are quite arguably more serious threats to young adults than Loki. Yet as we await a Supreme Court decision on the constitutional fate of the Affordable Care Act (ACA), the more neutral shorthand for Congress’ enactment of the health reform effort that President Obama pushed for and signed, many people know more about a movie about comic book characters than about the content of what the health reform legislation actually does. 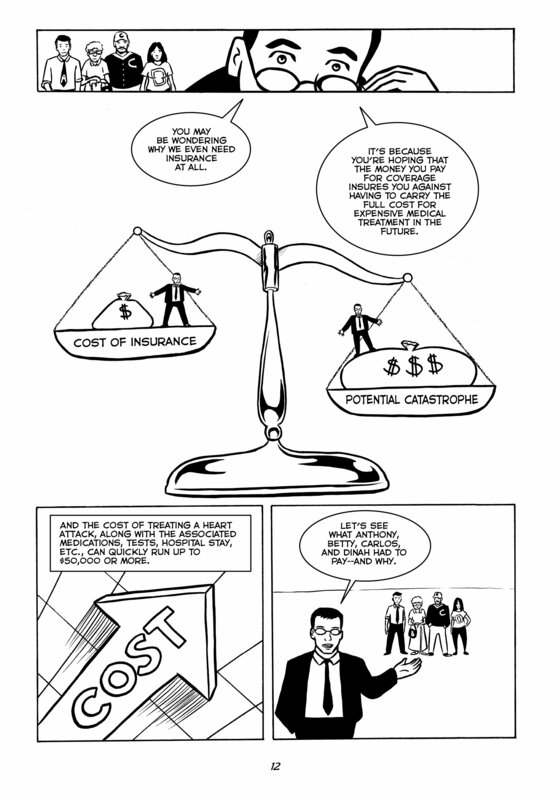 With a little help, MIT economist Jonathan Gruber has sought to explain the nuts and bolts of health care reform in a format readily accessible to many young adults (and quite a few older folk who are at least a little young at heart) – a graphic novel. 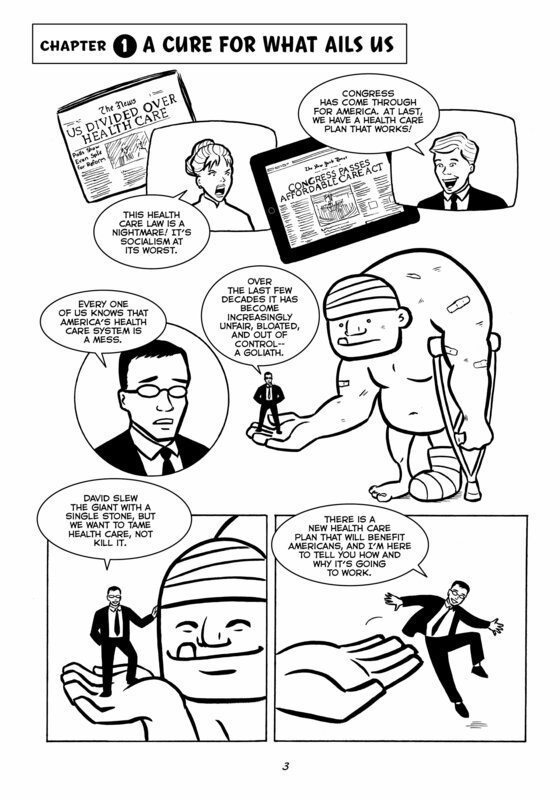 Ably assisted by H. P. Newquist and Nathan Schreiber, Gruber has written Health Care Reform: What It Is, Why It’s Necessary, How It Works as an explanation of the ACA for those who are not political or policy junkies.